Although the Department of Homeland Security has been around since 2001, it wasn’t until 2013 that it was able to pass a clean audit — although one filled with caveats. DHS is a behemoth and a bureaucratic nightmare that is projected to cost Americans $38.2bn this year. This conglomeration of over 20 government agencies, under one umbrella of dysfunction and secrecy, was mashed together by George W. Bush after 9/11 to form a largely incompetent and corrupt spy machine. Examples of its awfulness abound. Consider the DHS’ so-called “fusion centers”, which are little more than spying hubs that vacuum up information from federal and local authorities and store it for indefinite amounts of time. A scathing Senate report on the centers, which have cost the DHS at least $1.4 billion dollars, concluded that they produce “predominantly useless information” — one employee was quoted as calling it “a bunch of crap” — and that they also “[run] afoul of departmental guidelines meant to guard against civil liberties” and are “possibly in violation of the Privacy Act”. While they’ve spied on many people who were engaged in purely First Amendment protected activities, they’re not known to have stopped a terrorist attack. The DHS has also turned into a piggy bank for local police forces, handing out millions and millions of dollars in military gear to police that they can barely account for, along with high-tech spying equipment used for mass surveillance of innocent citizens. For example, they have a program to hand out funds for local police to buy surveillance drones and give grants to cops for controversial Stingray surveillance devices, which are fake cell phone towers that allow the police to spy on entire neighborhoods at once. 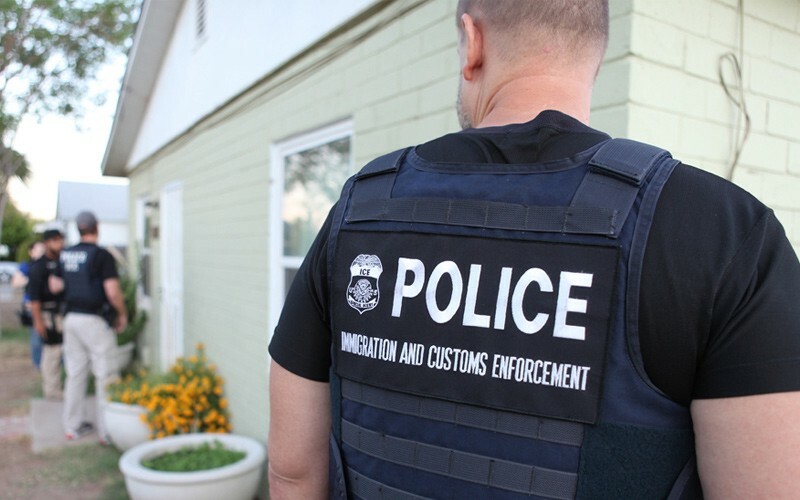 One of DHS’s most notorious child agencies is Immigration and Customs Enforcement (ICE), which is implementing Trump’s mass deportation agenda with pleasure. Barely a day goes by without a new horror story of families being broken apart. Rather than trying to rein in DHS and check its abuses, the House voted today to reauthorize it — for the first formal time since 2001 — and give it more money. It passed easily 386 to 41. 32 Democrats and 9 Republicans voted against it. The 9 Republicans were Justin Amash (MI-03), Andy Biggs (AZ-05), Dave Brat (VA-07), Warren Davidson (OH-08), Jimmy Duncan (TN-02), Louie Gohmert (TX-01), Walter Jones (NC-03), Tom Massie (KY-04), and Mark Sanford (SC-01). Most of them hail from the Liberty Caucus.